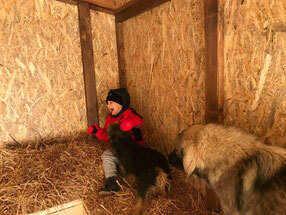 Socialization of our dogs in the Sanctuary - new in Gjakova - as all our dogs should be friendly not only to each other but also to kids. 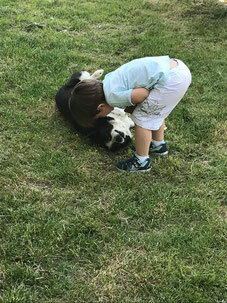 Here the son of our vet-team enjoys playing with Italia and Luna. 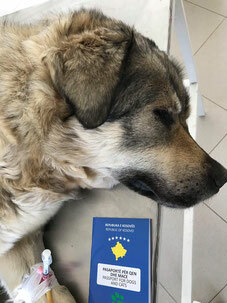 Doing our best to find adoption places in Kosovo instead exporting dogs to foreign countries. 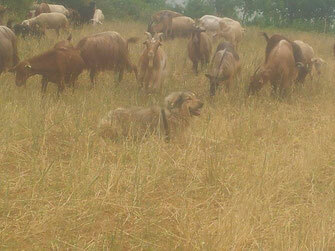 In the Sanctuary the dogs just sit and wait, at the farms they have a "job"! We support all adopters by giving them free veterinary care lifelong. 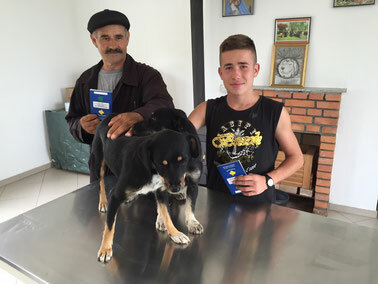 Promoting responsible dog ownership in Kosovo - models started in Mamusha and Rogova (Municipality of Gjakova). 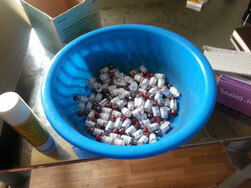 We help poor dog owners to chip their dogs and sterilise as well as treat them. All those dog owners are registered now at Pro Vet Nagavc. 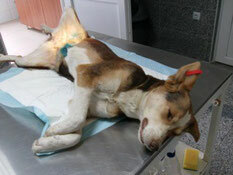 Ambulatory treatment and care for stray dogs in Gjakova...they get dewormed, sterilised and tick/flea treatment. 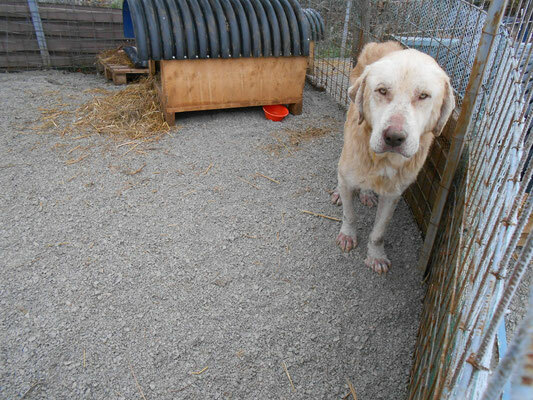 This dog lives in the street of Gjakova since 2013. Here he is caressed by the son of our veterinarians. 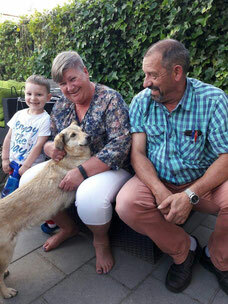 BELLA adopted - and lives now in the Netherlands! BOOMER - in September at the stadion of Mitrovica - sick with mange! Izabela Sala from "Animals Need me", working with our Foundation together in Shkodra/Albania, teaching children about responsible dog ownership! BOOMER in November 2016 after treatment at Sasa's Place in Priluzje thanks to Meg Ardners support and her Veterinarian Ilirjan Jusifi, Prishtina! 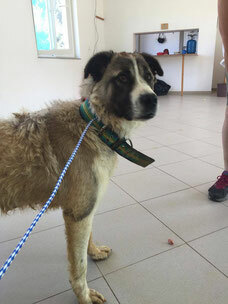 BOOMER is now going to be prepared for adoption by a german soldier and his friend. They paid most of the treatment costs for him. And since April 2017 BOOMER lives in Berlin! 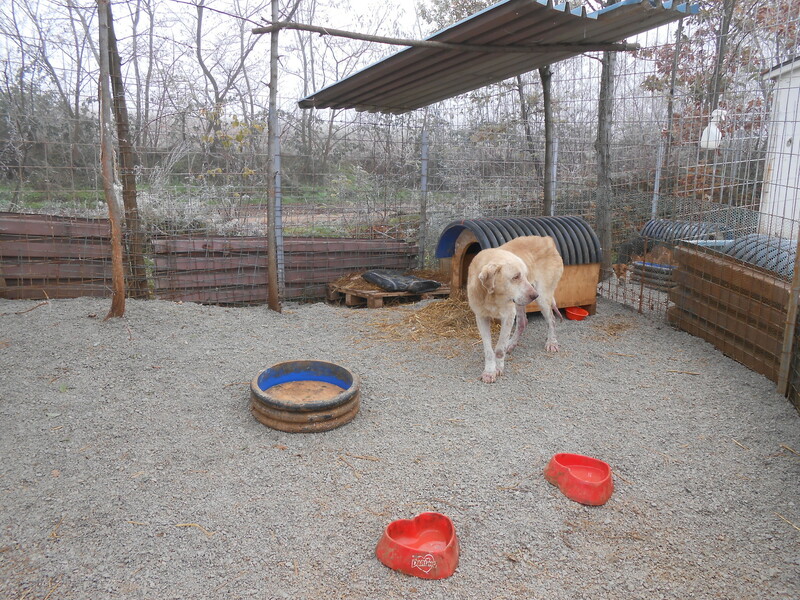 Regular business of our veterinarians at the Sanctuary is the treatment of mange. 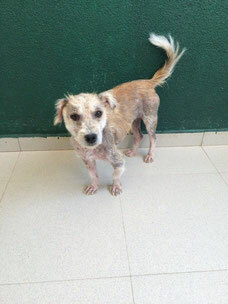 Foxy, you can see her here, is undergoing a 6 month treatment and gets every day better. But she still has to be kept separately, as she might be contagious to our other steady guests. 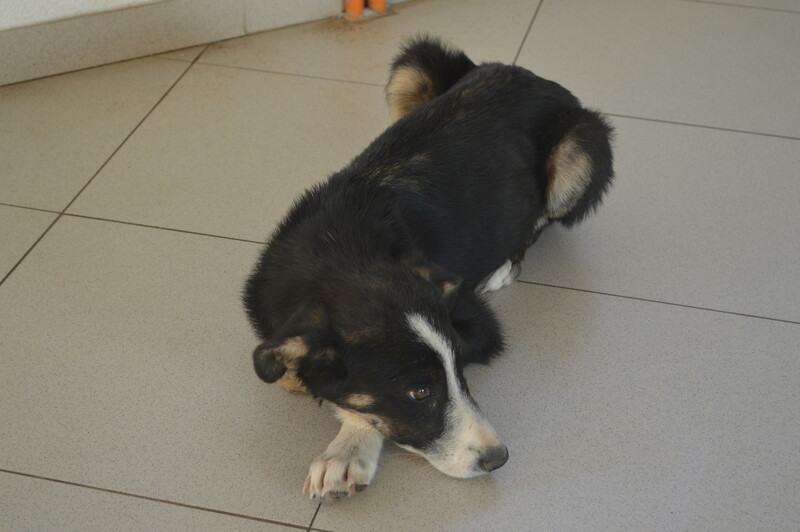 She has a Greek Sponsor who pays not only for her stay with us but also for the costs of treatment! And sometimes we have really good news. 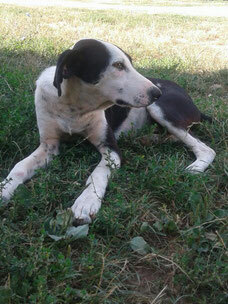 LUCKY was brought in our Sanctuary Nagavc by a German KFOR Soldier. He was sick with Parvovirus and survived. Now a Swiss fell in love with him and Lucky will fly in his new home end of october! Our Sanctuary is often full of puppies from the street. Barky, street dog from Gjakova, just stayed a few days in our sanctuary in Nagavc and was adopted by a neighbor of our shelter. 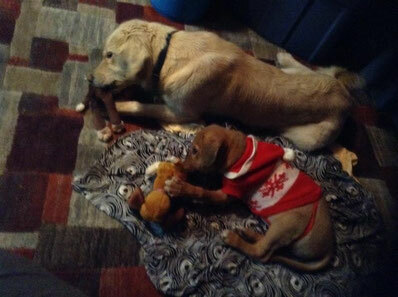 Two of our dogs adopted by Farmers from Suhareka! We visited them in October and checked how the dogs were kept. They were all fine! Beautiful dog of one year horror treatment behind him. Thanks to a neighbor we freed him out of the court and the owner who tried to stone him, was happy. The dog was full of fleas. 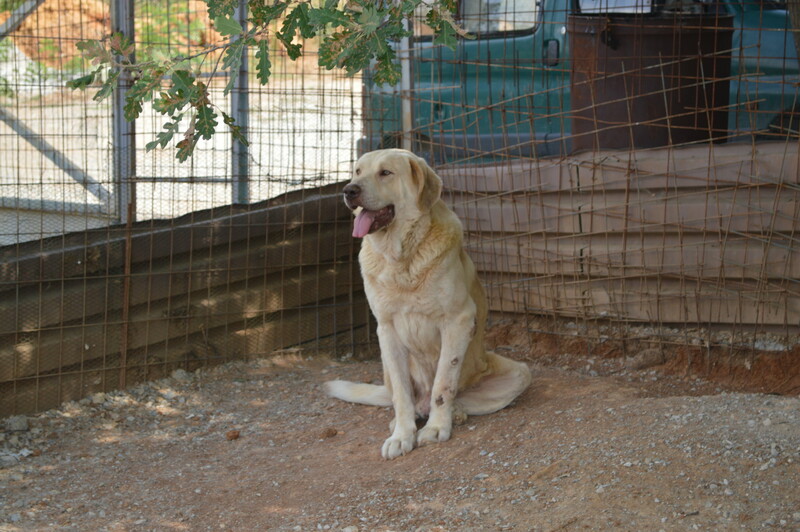 But he has found within a few hours a sponsor and can stay with us at the Sanctuary. And maybe he will find one day an adopter! 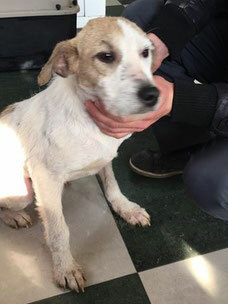 This young lady from Gjakova is happy to find her cocker in the Pro Vet Klinika in Nagavc. 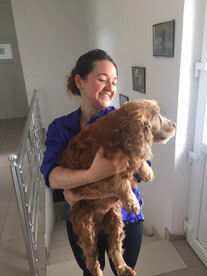 She was abroad for studies and let her dog stray. When we found him, he was very dirty. So our workers cleaned him, our vets vaccinated and neutered him, and when we heard he had an owner, she was informed. She promised from now on to care better for her old love. 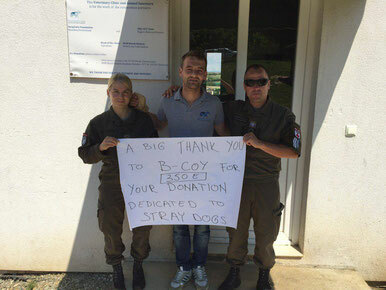 A big THANK YOU to the Austrian KFOR members - from Peja - that donated 350 Euros for CNVR today! The hardest fight in Pro Vet Klinika Nagavc is against the Parvovirus. Here Lucky, who is trying to survive. 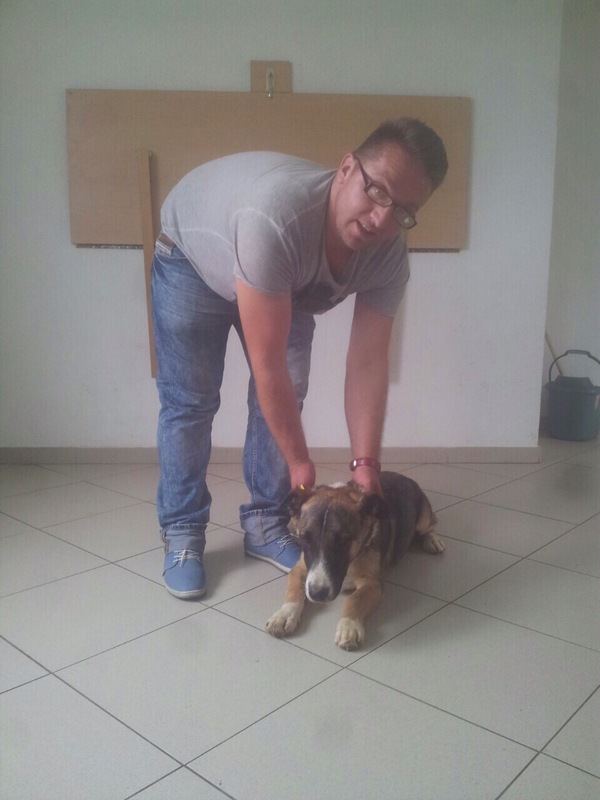 ...and he has not only found a sponsor, but will be adopted and fly to Germany, as soon as he passed all tests! And all those dogs we find with mange take some time to recover thanks to the hard work of our two veterinarians at Pro Vet Klinika in Nagavc. 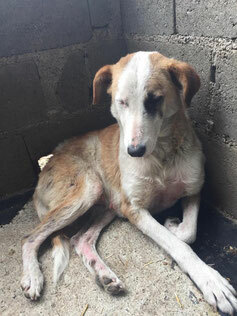 ...and also EVA has found a monthly sponsor and is now safe in our Sanctuary. The conditions in the Peja shelter for Straydogs, that have to live some days there - as well as for our veterinary team are not only after a storm hard to support. Nevertheless the work goes on. 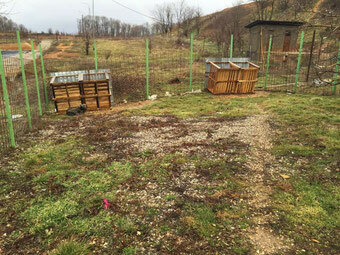 Fences and dog houses are repaired as good as possible. 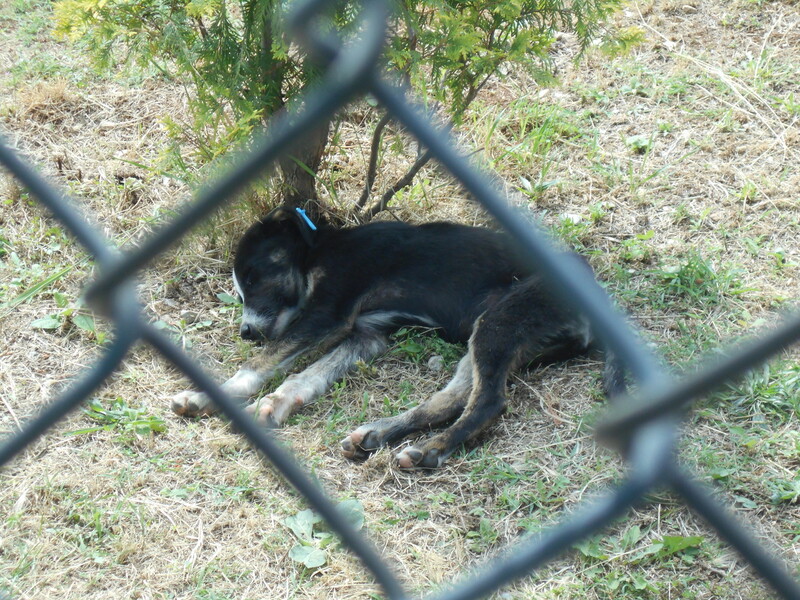 The municipality of Peja has no money to spend for a dog shelter. So we have to take it as it is, although we miss many things. Thanks to three KFOR Containers, the surgery takes place in one of them, after surgery the dogs are free to sleep on hay in the second Container and the third Container is for the night watch. 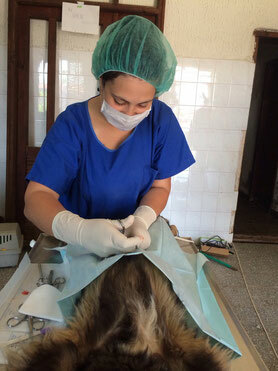 During the castrations and treatments of dogs our foundation pays for the night guard, whose duty is also to clean the "shelter" and feed the dogs. So Remzi, that is his name, is sleeping in the third KFOR Container and takes care that no fences or wood are stolen or destroyed as it happens whenever we stop for a few weeks our work there. BIG BOSS, today at the Sanctuary in Nagavc/Kosovo, thanks to the sponsoring of Linda Berisha, was abused for dog fights and found in the streets 2013. 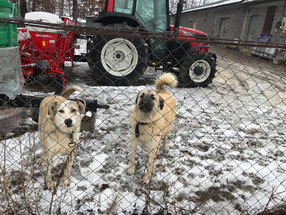 We are very happy that those two dogs from our Sanctuary in Nagavc/Kosovo have found a new home with the american Family Michael and Rebecca Johnstone, actually living in Gjakova. But this family left the dogs and wanted to bring them back to our Sanctuary, which is a NO GO. Thanks to Meg Ardner both dogs found very loving families in USA, where they are living now in a perfect dog loving surrounding. 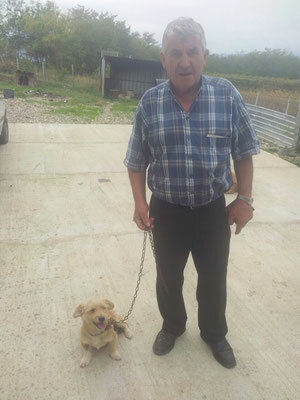 Our veterinarians Blendi Bejdoni, Eriola Palla Bejdoni (see photo), Ernest and Henrik Nulleshi as well as Adrian Mulla (from Veterinary Station in Peja) have castrated almost 1000 stray dogs by now and have treated them against rabies, worms, mange and vaccinated them against virus sicknesses. 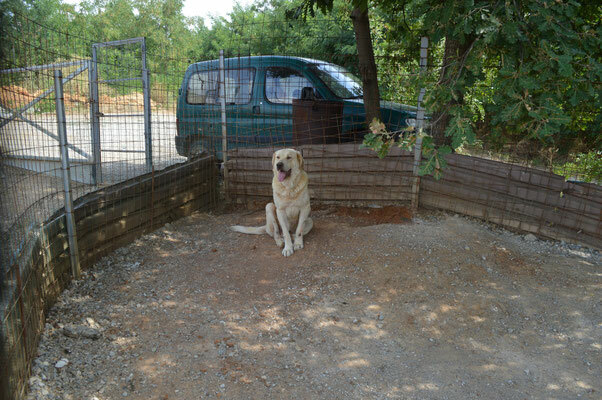 But we are not yet finished with our work, as estimated 1500 dogs are straying in this municipality. 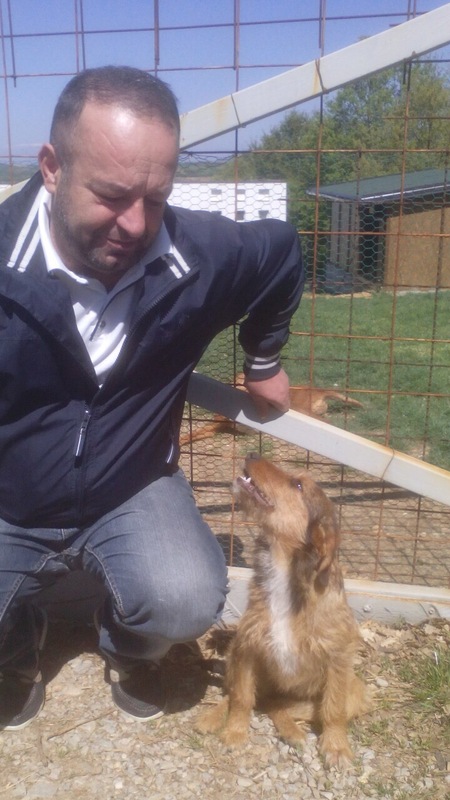 The Mayor, Gazmend Muhaxheri, supports our work with his workers and payment for every stray dog that is brought to the shelter by a citizen for treatment. 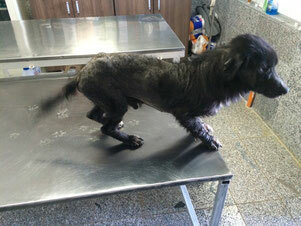 Blacky: He was found coughing and starving in front of the KFOR Camp in Peja and brought to the animal clinic in Nagavc. Now he is fine and his rescuer will adopt him. We support adoptions, although only in Kosovo itself. We are convinced that the dogs should stay in their country. 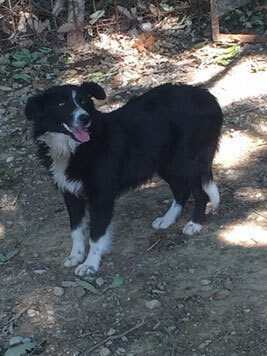 Like Bardha, a stray dog, sterilized 19th January 2015 by our veterinarian, back in the streets until we found a farmer in Rahovec that accepted her as a guard for his goats. But she chased chickens, so we had to take her back. Now we are looking for new adopters. We guarantee a lifelong veterinary treatment. 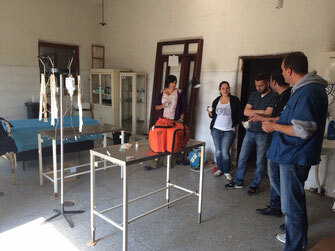 Early morning allocation of tasks with the veterinarians and paravets in Veterinarian station Peja. 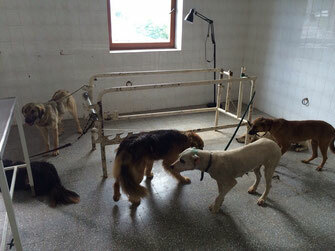 Dogs at the veterinary station of Peja waiting for surgery by the local veterinarians - for the moment still under supervision and instruction through our veterinarian DVM Blendi Bejdoni. We are very proud to convince more and more private dog owners to spay their dog - on our costs. Only with the understanding of all citizens our project of reducing the stray dog population will be succesfull. One more sick dog with mange brought to the clinic in Nagavc. He will have to live isolated for a while, but get the best treatment we can! 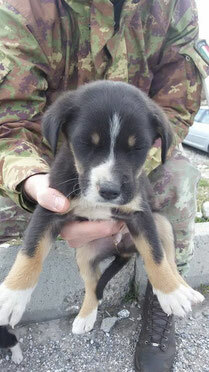 Italian KFOR soldiers helping us to collect dogs around their camp in Peja. Our worker Zina takes them to his shelter, from where they will be brought to the clinic in Nagavc. Some get adopted thanks to the organization of Debra Adshead, the others will be brought back to their territory. 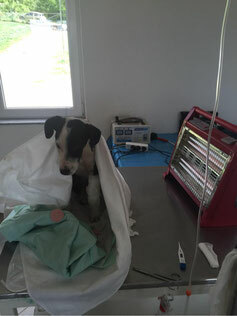 This small dog was rescued from the streets of Pec/Peja one week ago and is now for treatment at the clinic in Nagavc. Totally 280 dogs out of Pec/Peja have been treated since midst january 2015 by our veterinarian DVM Blendi Bejdoni and his wife Eriola. 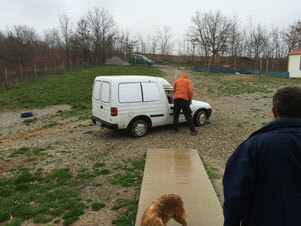 Zina with our Car to transport dogs to Nagavc and back to Pec/Peja. 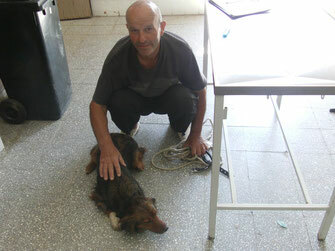 Every day he is alone catching dogs, specially those that are sick, and bringing them to the animal clinic. Until now 234 dogs have been neutered/spayed at the animal clinic in Nagavc. All are stray dogs from Pec, caught with the assistance of the municipality workers first and now by Zina. 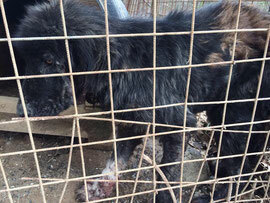 The workers continue to catch dogs during the week, although it gets now more difficult. They have to get up early in the morning or look for the dogs late in the evening. 50 vaccinations were applied at Pec shelter on 12th january 2015 - before driving the dogs to Nagavc for neutering/spaying. january 2015 at the shelter of Pec.